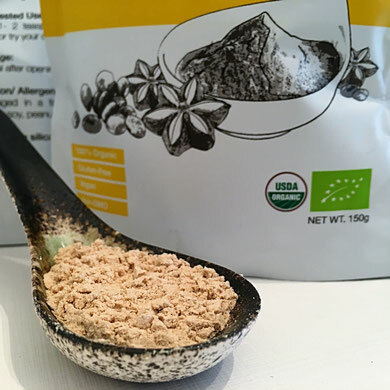 Our sacha inchi protein powder is 100% made from certified organic sacha inchi seeds. After harvest, the sacha inchi seeds are processed by solvent-free, cold press method to extract most of the oil out, so it left only 6-10% fat in the protein. It is good for weight control when people wants to consume high protein with less fat. 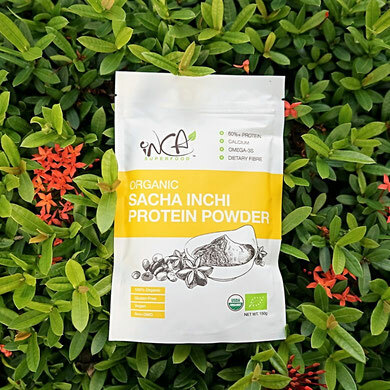 Sacha inchi protein powder is highly digestible and made up of 60% protein by serving size. It is considered a complete protein source because it contains all nine essential amino acids, dietary fibre and calcium which may help cell growth to maintain normal muscle and bone support and are suitable for vegetarians, vegans and every people in all ages. Macrominerals, such as calcium, magnesium and potassium, are important electrolytes which our bodies needs. These minerals offer support to maintain our structural systems such as muscle and bone health. Omega 3 fatty acids and Vitamin E are vital to healthy hair and skin. They help us regulate oil production, keep skin elastic, lock in hydration, protect against sun damage, and help repair damage when it occurs.